Most overuse bone injuries occur in the lower extremities. Many athletes have heard of stress fractures, but most often they occur in the foot, leg, or hip. Metatarsal stress fractures are common in hikers and military recruits, tibia stress fractures occur in distance athletes and dancers, and hip stress fractures may happen to long-distance runners. Much more uncommon are upper extremity stress fractures, including stress injuries to the rib cage. Rib stress fractures occur in all types of athletes but have been found to be more common with certain sports and activities including rowing (crew), baseball, backpacking, dance, and windsurfing. Stress fractures occur when bone cannot withstand the accumulated stress of a particular activity. Unlike acute fractures where a high-energy injury causes the bone to fail, a stress fracture is the result of a repetitive low-energy injury causing accumulating damage to the bone. Rib stress fractures can be difficult to diagnose, and often it takes time to determine the exact cause of pain. The most common symptom of a rib stress fracture is gradually increasing pain directly over the injury. Athletes typically have pain that is focal (not widespread) and broader symptoms of pain are more commonly associated with other conditions. Pain may be worse with exertion, deep breathing (pleuritic pain) or coughing. Diagnosis of a rib stress fracture can be difficult to confirm with a regular x-ray. X-rays are often normal in patients with a stress fracture, and even in more severe rib fractures, x-rays often don't show the injury. Therefore, other tests may be performed to confirm the diagnosis. The two tests most often performed are bone scans or MRIs. The advantage of a bone scan is that they are easily performed and interpreted. MRIs can be more difficult to perform, but they may show other causes of pain including inflammation of soft tissues. Rib stress fractures can be confused with other ribcage conditions. The two most common causes of rib pain in athletes, other than a stress fracture, are costochondritis and muscle strains of the intercostal muscles. Early treatment of any of these conditions is the same, allowing the rib to rest and the injury to heal. As athletes return to activity, recurrent rib pain may be a reason to consider further imaging to determine if a stress fracture may be present. Every athlete wants to know how long the injury will take to heal. Unfortunately, there is no way to know for certain when the injury will be fully recovered, but most rib stress fractures will heal within 3 months, although some may take 6 months, or even longer if athletes don't allow the ribs to adequately rest. Often athletes can do other athletic activities without aggravating their healing stress fracture. 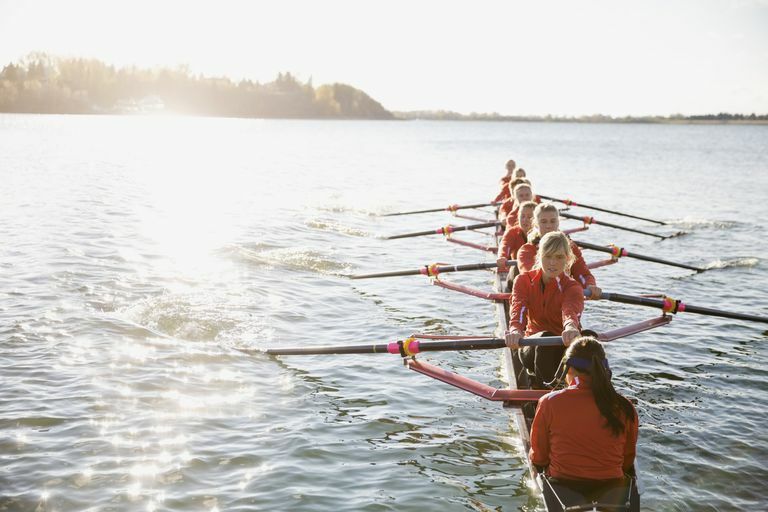 For example, a rower may not be able to row without pain, but they may be able to do other activities to maintain their fitness such as cycling or swimming. Rib stress fractures are incredibly frustrating injuries and can be difficult to treat. Treatment often takes many months for full resolution of symptoms, and many athletes struggle to come back to sports. One of the most challenging aspects of returning to sports is the psychological component of being worried about a recurrence of the injury. The best approach is when athletes move away from the sport, and not try to shortcut the healing process. Once symptoms have fully resolved, and then a period of rest has taken place, then athletes can consider when to return to sports. Miller TL, Harris JD, Kaeding CC. "Stress fractures of the ribs and upper extremities: causation, evaluation, and management" Sports Med. 2013 Aug;43(8):665-74.